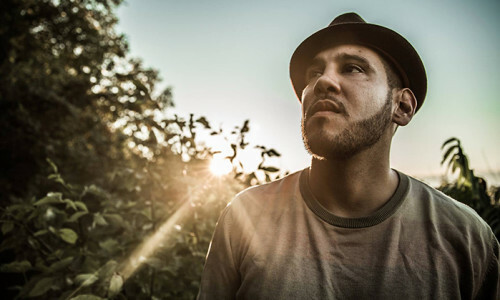 Boogat’s JUNO Award – for World Music Album of the Year (Neo​-​Reconquista) – is how much of the nation discovered him. And through the JUNOs, Boogat discovered Canada: Prior to the festivities in Calgary, he hadn’t spent much time outside of Quebec, where attention and acclaim had already built up. But that is set to change. Boogat – née Daniel Russo Garrido – earned his chops in Quebec City’s hip-hop scene, and splits his time between Montreal and Mexico City. His music doesn’t just cross borders but shows the ridiculousness of their very idea. He’s influenced by everything he hears, explaining “there are only two kinds of music: Good and bad.” Words like “Latin,” “urban,” “rap” and “electronic” help describe his music, but only tell part of the story of his powerful music that may be hard to define, but is easy to get in – and down – to. 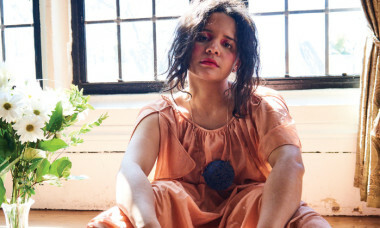 More useful, perhaps, is a look at a selection of other boundary-defying artists with whom he’s worked: turntablist Kid Koala, Afro-futuristic electro-beat artist Pierre Kwenders, Quebecois pop star Marie-Mai, Argentinian electronic producer Mati Zundel and more. Boogat performs as part of Indie Fridays at Yonge-Dundas Square, on Fri July 29 with special guests Los Poetas. NOFX in the gym at a government building. It was really amazing, and crazy, and made a deep impression: The energy was just… People are crazy at punk shows. It was fun. Back then, in the 90s, it was really different: There was no will to do a perfect performance, it was about making sure everyone had fun. Something really spoke to me about that show. First album that you bought? What artist made you want to do what you do? MC Solaar. I was into rock and punk — I come from a skateboarding background, and that’s how I fell into punk. I discovered rap music when it started being in more and more movies. But everything I heard was in English, and I wasn’t understanding it. Hearing MC Solaar rap in French was the first time I could understand what rap was, and what the lyrics were about. And I saw that you can create poetry with everyday language. There’s a “higher” language of poetry – especially, I think, in French. But with Solaar, I learned that you don’t have to make poetry all academic. Everything influences me. Making beats led me to sampling, and sampling led me to all kinds of music, because you need to find the rare stuff – the stuff nobody else is using or looking for. That’s when I learned that there are only two kinds of music: good and bad. I think the key is the very basic question: Do you like it? There’s no grey area. Either you do or you don’t. What does Massey Hall mean to you? If you’re interested in the history of Canadian music, you come across the name. Personally, I’ve never been to the Hall. But it’s a name that means something. In Montreal, where I’ve been the past several years, there’s not much, culturally, that dates back before the late 60s, when we had our first cultural moment. So it’s really interesting to see a longer tradition, and that these important places for art are still standing. The reality is that people don’t see art as art any more – it’s mostly entertainment. So many venues, it’s about being able to rent these places out – and I get it, but art can’t be calculated like that. We’re such a young country, so we need to cherish places like Massey Hall. It’s so important, the Canadian artistic heritage that’s there. In a thousand years, we’re going to need it. What music were you listening to on the way to the shoot? What will you listen to on your way from the shoot? Sonido Pesao – it’s a Latin group in Montreal that’s like Cypress Hill and Rage Against the Machine. They just sent me the album they’re going to release. I’m excited to hear it. Tell us about a memorably amazing onstage experience you’ve had. We had a weird – but amazing – time at the Rodante Festival, a bicycle-powered festival in Mexico City. The gear was bicycle-powered, but the stage was also basically a parade float attached to bikes that took us up this pedestrian street. The band before us was quite traditional, and there weren’t any people watching, so we were going through our set list, cutting songs, thinking nobody would be there. But once we got started, people started filling the street, and it was so packed, the float couldn’t move. People were coming out of the top floors of the buildings to take pictures: It was like a flash mob. We passed the hat to get paid – the festival didn’t pay performance fees. But we collected enough to have a really nice night on the town. Tell us about a memorably ridiculous onstage experience you’ve had. The worst is when there’s like three people in the audiences. You do all this work to come up with a professional show, and then there’s nobody there. It can become cool, if you really grab those three people – and it’s strange how those shows often turn into great memories. I guess when pressure of crowd is off, it can become something really cool. I would love to do a show in some random and remote place like Mongolia. Somewhere where, culturally, you don’t understand each other at all. For me, in that situation, it doesn’t matter how many people come. It’s about just being in a place, culturally, you don’t belong. I think that would be amazing. What do you hope people take away from your music? Happiness. A smile on their faces. What’s the best thing about doing what you do? Traveling and meeting people; it’s awesome when you’re really far from home, but feel like you totally belong there. Friendships are born. I had some chances to travel when I was younger, but didn’t really feel it: I hated being somewhere with no real purpose. To me, being a tourist and traveling are very different things. The people I’ve met up and down North and South America are awesome: They want you to experience great moments. I meet people from all kinds of places, and we’re not supposed to be able to get along, but we have so many things in common – the same taste, the same reference points. As I travel, I realize, I’m a human being – not a Quebecker, or a Canadian. It’s beautiful! What’s the hardest thing about doing what you do? Managing the energy. Knowing how your brain works, and what influences you. To create, I think you have to keep your mind in either a nice or horrible place. And I prefer the nice place. With life, that changes: As a teen, you’re producing crazy stuff, and have all kinds of energy. As an adult, it’s hard to avoid getting eaten by the dark place, because you no longer have the vitality to get through it — that’s me, for sure. The traveling is also difficult. The idea that you travel five hours, sing for two hours, then do interviews — it’s hard to figure out how to avoid the grumpiness that results. I know that I’m successful in my field, but nowhere near in the same way as someone like, say, the Weeknd. It must be crazy for guys like that, and I wonder how they might deal with it. It can quickly become a nightmare if you don’t listen to yourself and know your body and mind. What do people most frequently misunderstand or under-appreciate about what you do? No matter what you do, it’s hard to make a buck in Canada. It’s a privilege for me to be an artist – to spend my time creating, and not consuming. Every job has its good and bad sides: I do it because I love it, and believe that you can’t be happy if you don’t love what you do – whatever that is, and I don’t judge any jobs. At the end of the day, I’m selling you something. I have small children, and they taught me: Everything is ‘yes’ or ‘no.’ In art, what you’re selling is you feelings, your work. I don’t think my music is for everyone, and that’s ok. Some people are into the kinds of things that are in stadiums, others are into the clubs. I don’t judge them either way. What’s ahead for you this year? What are you most looking forward to in 2016? I’ve played a bunch in Ontario, but hadn’t been to much of the country before. I always felt more like a “Canadian” than a “Quebecker,” but really didn’t know what to expect going to Calgary for the JUNOs. In Quebec, we really don’t realise how big Canadian music is; the provincial media focuses on Quebec artists, so you forget that you’re a part of Canada. It was so cool to discover the scene – there’s so much amazing music, and it’s really having an impact on the rest of the world. It’s so cool to be part of something like this.